It is difficult to understand that God’s will is in all the circumstances we go through, but through the process of obedience and submission, God’s will does become clearer. Many in the Body of Christ don’t realize that God is in their particular circumstances. Walking by faith and not by sight is easier said than done, but that is exactly what our Heavenly Father expects from His children. This is not the faith I have heard some ministers describe when they say that faith is sitting on a chair believing it will support you. I cannot and will not teach that. What we have received, is the faith of the Son of God. Read Hebrews 11:3 AMP, “By faith [that is, with an inherent trust and enduring confidence in the power, wisdom and goodness of God] we understand that the worlds (universe, ages) were framed and created [formed, put in order, and equipped for their intended purpose] by the word of God, so that what is seen was not made out of things which are visible.” Let me share with you what we experienced on our last trip to Haiti so you will see the power within the revelation in Hebrews 11:3. As always, when I begin to make plans with a team for traveling I go to the Lord to make sure we will be in His will. Everything was going well until we arrived in Haiti on Thursday, August 10. Gerson and Danny, our hosts, met us at the airport in an open pickup truck; the driver was a young man that only spoke Creole. Gerson and Danny sat in the back to guard the suitcases while the rest of us crammed in the front. On our way to the hotel the driver seemed nervous to the point of inattention and he collided with a new vehicle that was in front of us. Two men got out of the vehicle and argued with him then turned around and left. It was obvious he was shaken, so I put my hand on his shoulder and assured him that everything was going to be alright. We were less than half-way to our hotel when the vehicle stalled three times and we had to push it out of traffic. The driver found a mechanic who changed the battery, but it still stalled. At this point our driver was done; I paid him and hired another driver with a vehicle. After several hours, we arrived at our hotel. Through all of this Gerson and Danny were upset and apologetic. Before they left for home I explained to them how important it is to start our days before the Lord who is the only one that knows how each day is structured for His purpose. He ordains our steps, He ordains our days. Friday went as planned. While the women had a girl’s conference at the hotel, we had a battery put in the little ministry truck and drove to a campground to consider it for a future pastor’s conference. Saturday we had planned to minister at a small town just a couple of hours outside Port Au Prince. We were going to minister to two groups; one group with forty young girls and the other with over one hundred pastors/leaders who had registered. We contracted a vehicle for all day Saturday, but at 5:00 a.m. the owner called to back out and decided not to rent it to us. We were waiting in the hotel lobby for Gerson and Danny to arrive when they called and gave us the news. Once they arrived at the hotel they told us Pastor Jean had a church member who had a vehicle we could use; so, off we went to Pastor Jean’s to change cars. Six of us piled into the car, stopped at a gas station to fill up and the car would not start. By this time we should have been starting the conference and we had not even left the city. At 10:30 a.m. I had to make a decision. The brothers who were hosting the conferences were calling to find out where we were and let us know that the attendees were there; they were wondering what to do. It was obvious what I had to do. I told them to cancel the meeting; feed them and dismiss them. I can just hear someone say, “If it was me, I would be binding Satan and rebuke him out of those cars” or “It doesn’t seem you were in the will of God.” I know we were in God’s perfect will. Satan has no power over the material world. Only God has power over the elements he has created. The only power satan has over us is through doubt and deception because we lack knowledge in God’s word. Satan wants us to doubt God’s faithful word. Let’s again read Hebrews 11:3 AMP, “By faith [that is, with an inherent trust and enduring confidence in the power, wisdom and goodness of God] we understand that the worlds (universe, ages) were framed and created [formed, put in order, and equipped for their intended purpose]. . .” Now, if God can frame, form, put in order and equip the worlds for their intended purpose, don’t you think He can equip us for our intended purpose? Read Psalms 139: 1-18. Every day is ordained by God. With all the anxiety, disappointment, deception and corruption in this world today, we as the children of the Most High God have nothing to fear. We must understand that our Heavenly Father is creating the greatest opportunity for the display of His Glorious Son and the purpose of His coming into this world. The most important thing we must recognize as we read our bibles is who is being revealed through all scripture. Perhaps you have never thought about it; God the Father is revealed by God the Son, through the power of God the Holy Spirit. Also, the Holy Spirit was sent to reveal the Son and we are created to be the expression of the Son. I am asking you to listen with your heart what was prophesied by Isaiah in Isaiah 14:24-27 (KJV), “The Lord of Hosts hath sworn, saying, surely as I have thought, so shall it come to pass; and as I have purposed, so shall it stand: that I will break the Assyrian (oppressor) in my land, and upon my mountains tread him under foot: then shall his yoke depart from off them, and his burden depart from off their shoulders. This is the purpose that is purposed upon the whole earth: and this is the hand that is stretched out upon all the nations. For the Lord of Hosts hath purposed, and who shall disannul it? And His hand is stretched out, and who shall turn it back?” Who is declaring this universal truth? It is “The Lord of Hosts” making the declaration and not the prophet Isaiah. Isaiah is only God’s chosen vessel for the moment in God’s time table. Something else that we must see: the prophecy is not only for God’s chosen people, Israel; it is for us, as well as for the principalities and powers of darkness to know what is in store for them. Never forget what our Lord said in John 6:63 (NIV), “The Spirit gives life; the flesh counts for nothing. The words I have spoken to you are spirit and they are life.” Do you see why this is a universal truth? In Isaiah 14:24-27, I want to focus on the word ‘surely’. The word means with confidence; unhesitatingly, undoubtedly, certainly or without fail. Reading the definition makes me aware that our Heavenly Father wants to make sure nothing will limit us from coming into the fullness of Christ. What God is saying here is not only going to happen over all the earth and nations, but IN you and me personally. Do not be overwhelmed by your surroundings, keep your eyes on Christ and listen with your heart to what He is saying! 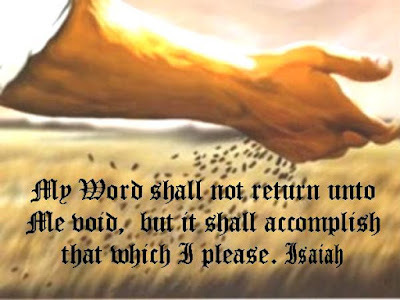 I Peter 1:23-25(NIV), “For you have been born again, not of perishable seed, but of imperishable, through the living and enduring word of God. For ‘All men are like grass, and all their glory is like the flowers of the field; the grass withers and the flowers fall, but the word of the Lord stands forever.’ And this is the word that was preached to you.” We must stop putting our trust in things that perish once we know the Word is the essence and substance of our being. Do not be deceived by the times we are living in or become fooled by the changes taking place around us. As we read Isaiah 14:24-27, we hear God assuring us that nothing will stop His purpose from being fulfilled. Our Lord knows what you are going through. What a privilege to take this revelation where ever God sends us. We are a part of God’s eternal plan. I have come to know that if Christ is our Lord, we must always ask, “Lord what will you have me to do?” Let Him lead and rest in His will. There are two main systems in this world that control humanity; one is the government system and the other is the religious system. An important thing to remember is that both were ordained by God and given to benefit man. However, when the purpose of these systems is corrupted they will produce evil in the form of divisions, stagnation, hatred and oppression. Let me remind you, first the natural, then the spiritual. 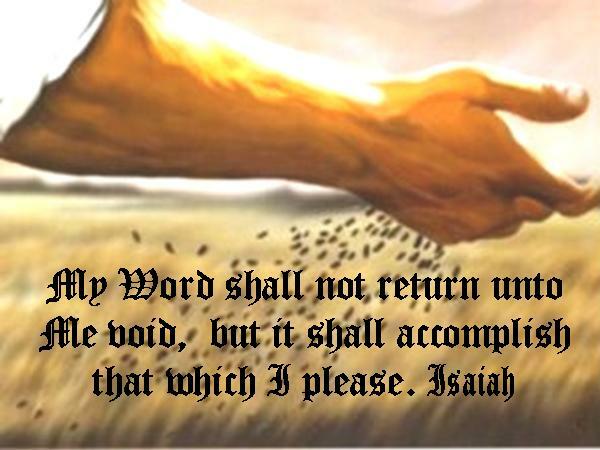 Isaiah 14:24-27 reads, “The Lord almighty has sworn, surely as I have planned, so it will be, and as I have purposed, so it will stand. I will crush the Assyrian in My land, on my mountains I will trample Him down. His yoke will be taken from my people, and his burden removed from their shoulders. This is the plan determined for the whole world; this is the hand stretched out over all nations. For the Lord almighty has purposed and who can thwart Him? His hand is stretched out, and who can turn it back?” Isaiah 29:14 reads, “Therefore once more I will astound these people with wonder upon wonder; the wisdom of the wise will perish, the intelligence of the intelligent will vanish.” The scriptures tell us God’s enemy is in control of both systems. But we have the assurance that God's plan will continue to unfold. 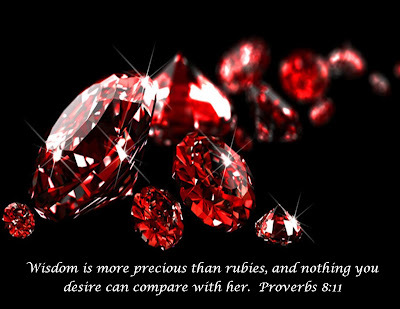 Proverbs 4:7 gives us great advice, “Wisdom is supreme; therefore get wisdom, though it costs all you have, get understanding.” To understand why wisdom is supreme, let’s go back in history to 1 Kings 10: 1-9, “When the Queen of Sheba heard about the fame of Solomon and his relation to the name of the Lord, she came to test him with hard questions. Arriving at Jerusalem with a very great caravan – with camels carrying spices, large quantities of gold, and precious stones – she came to Solomon and talked with him about all that she had on her mind. Solomon answered all her questions; nothing was too hard for the King to explain to her. When the Queen of Sheba saw all the wisdom of Solomon and the palace he had built, the food on his table the seating of his officials, the attending servants in their robes, his cupbearers and the burnt offering he made at the temple of the Lord, she was overwhelmed. She said to the King, “The report I heard in my own country about your achievements and wisdom is true. But I did not believe these things until I came and saw with my own eyes, indeed, not even half was told me; in wisdom and wealth you have far exceeded the report I heard. How happy your men must be! How happy your officials, who continually stand before you and hear your wisdom! Praise be to the Lord your God, who has delighted in you and placed you on the throne of Israel. Because of the Lords love for Israel, He has made you king, to maintain justice and righteousness.” We must see the importance and the great value God places on wisdom. Notice what drew the Queen of the South to Solomon; first, the ‘fame of Solomon”, second, “his relation to the name of the Lord.” I remind you of what Jesus said in Matthew 12:42, “…. and now one greater than Solomon is here.” As Christians if divine wisdom is in us, why are there so many in the church, disappointed, discouraged and sometimes angry with God, looking to the world for contentment and fulfillment? It will benefit us to listen to the words and counsel of Solomon in Ecclesiastes 2:10-11, “I denied myself nothing my eyes desired; I refused my heart no pleasure. My heart took delight in all my work, and this was the reward for all my labor, yet when I surveyed all that my hands had done and what I had toiled to achieve, everything was meaningless, a chasing after the wind; nothing was gained under the sun.” Contentment and fulfillment is not in the riches of this world. 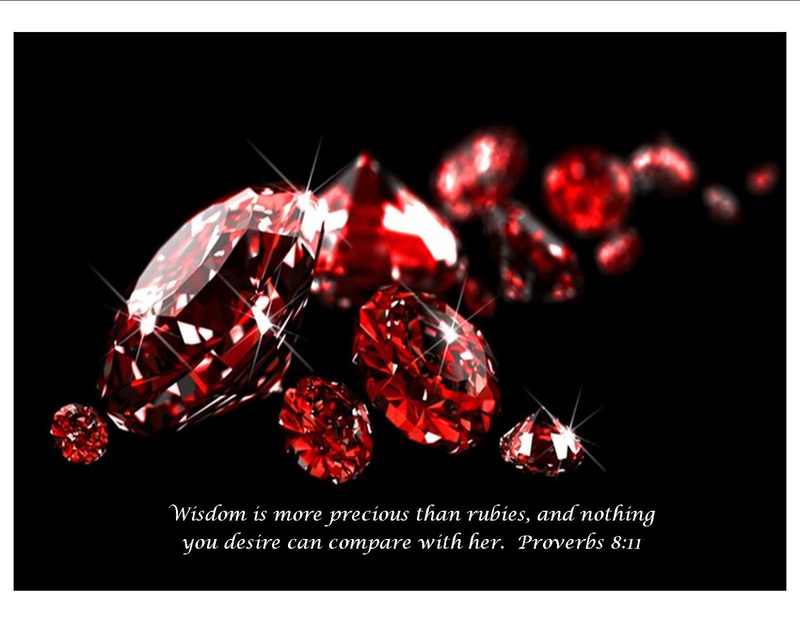 Wisdom, God’s wisdom reigns supreme, get wisdom. Lets again read 1 Kings 10:4-5, “When the Queen of Sheba saw all the wisdom of Solomon, the palace, the food, the seating of his officials, the attending servants in their robes, his cupbearers, the burnt offerings he made at the temple of the Lord, she was overwhelmed.” She continued in verse 8, “How happy your men must be!! How happy your officials, who continually stand before you and hear your wisdom.” Her soul was so overwhelmed with all she saw and heard, that she praised the Lord. Ephesians 1:17-18 reads, “I keep asking that the God of our Lord Jesus Christ, the glorious Father, may give you the spirit of wisdom and revelation, so that you may know Him better. I pray also that the eyes of your heart may be enlightened in order that you may know the hope to which he has called you….” I believe our Lord wants to make it clear that we should not be seeking the wealth of the world, but wisdom. It was not only the Queen that came bearing gifts to hear wisdom from Solomon, 1 Kings 10: 24 reads, “The whole world sought audience with Solomon to hear the wisdom God had put in his heart.” We should have no question why God wanted this part of history recorded. God divinely planned and purposed that the Queen of Sheba come before King Solomon to see God’s wisdom magnificently displayed. Now, Jesus is saying of the Holy Spirit in John 16:14, 15, “He will bring glory to me by taking from what is mine and making it known to you. All that belongs to the Father is mine. That is why I said the Spirit will take from what is mine and make it known to you.” Envision yourself displaying the Glory of Divine Wisdom. Are you seeing how important wisdom is? It is time to take God’s word seriously so we will not be taken captive by the deception of this world. Two thousand years ago an Outsider, Jesus, came into this corrupt world; one that not only came to deliver the souls from corruption, but to deliver the spirit from the power of death. He came to unite us with Himself. Jesus says in John 17:23, “I in them and You in me so that they may be brought to complete unity. Then the world will know that You sent me and have loved them even as You have loved me.” We were created by Divine Wisdom and we are in Divine Wisdom. What a glorious thought! Let me illustrate what I mean when I say ‘in Divine Wisdom’. I have a pitcher of water (wisdom) and three empty glasses. I pour water into each glass. I fill one glass a fourth full; the next glass halfway full; the third glass three fourths full. It does not matter which glass you drink from, they all will satisfy your thirst because they all were filled from the same substance of the one pitcher. As earthen vessels, we are endowed with the same Spirit as Christ Jesus. I believe it is time we know what Spirit we, as God’s children, are made of. 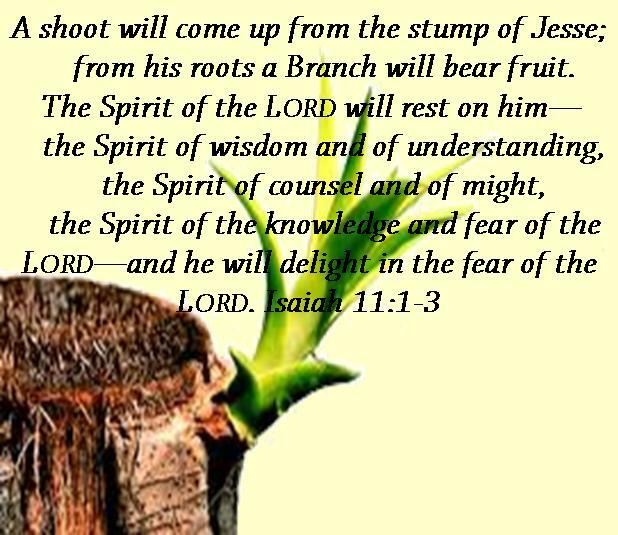 Isaiah 11:1-3 reads, “A shoot will come up from the stump of Jesse: from his roots a branch will bear fruit. The Spirit of the Lord will rest on Him - the Spirit of Wisdom and of Understanding, the spirit of Counsel and of Power, the Spirit of Knowledge and of the Fear of the Lord, and He will Delight in the fear of the Lord.” Our Lord Jesus said in Matthew 16:18, “…. I will build my church (Body) and the gates of Hades will not overcome it.” I pray the Holy Spirit helps you realize the seriousness of the times we are living in. Proverbs 9:1, “Wisdom has built her house; she has hewn out its seven pillars.” The seven pillars are the seven spirits we just read in Isaiah 11. Revelations 4:5 reads, “…. Before the throne, seven lamps were blazing. These are the seven spirits of God.” These spirits were given to our Lord without measure. Paul said in 1 Corinthians 12:13, “For we were all baptized by one spirit into one body – whether Jews, or Greeks, slave or free, and we were all given the one spirit to drink.” Our Heavenly Father knew what we would confront in these days; no doubt He gave us everything we need to come into our destiny. We lack nothing. Our Lord, the Outsider, came from heaven to reveal and accomplish His purpose. Romans 11:33 reads, “Oh, the depth of the riches of the wisdom and knowledge of God! How unsearchable His judgments, and His paths beyond tracing out.” I conclude with Luke 7:35, “But wisdom is proved right by all her children.” Selah! Whatever You Do, Do For the Glory of God! Crisis: a stage in a sequence of events at which the trend of all future events, especially for better or for worse, is determined; turning point. I must confess that when I first heard the word crisis I assumed something bad. I learned that a crisis in and of itself is not evil. Everything that has happened and will happen is within the perimeter of God’s divine, perfect, and eternal wisdom. What determines whether a crisis is good or evil is what you do with it; how you use that crisis is determined by the influencing spirit. Unless we see God’s wisdom in every crisis that He brings us into, we will never see Christ, because CHRIST IS WISDOM. I am asking the Lord to help you understand what you’re reading because it’s not how much we read that’s important, but the understanding we get from what we read. Don’t forget what we are discussing, ‘CRISIS’. The first crisis recorded is in Genesis 1:1-2 which reads, “In the beginning God created the heavens and the earth. Now the earth was formless and empty, darkness was over the surface of the deep, and the Spirit of God was hovering over the waters.” Take a moment and marvel at WISDOM on display. Here is something we must never forget, ‘God is the beginning, and the end is God’. By definition wisdom is the power of discerning and judging properly what is true and right; having the ability to use knowledge with understanding. Proverbs 8:22-30 reads, “The Lord brought me forth as the first of His works, before His deeds of old; I was appointed from eternity from the beginning, before the world began when there were no oceans, I was given birth, when there were no springs abounding with water; before the mountains were settled in place, before the hills, I was given birth, before He made the earth or its fields or any of the dust of the world. I was there when He set the heavens in place, when He marked out the horizon on the face of the deep, when He established the clouds above and fixed securely the fountains of the deep when He gave the sea its boundary, so the water would not overstep His command, and when He marked out the foundations of the earth, then I was the craftsman at His side, I was filled with delight day after day rejoicing always in His presence, rejoicing in His whole world and delighting in mankind.” After reading these scriptures it becomes clear that another realm is in control; the spiritual realm of the Kingdom of Heaven. The Spirit of God will reveal to our hearts the wisdom of God in creating a crisis in His universe. We know the story in Genesis of Joseph and his brothers and how his brothers hated him. They were jealous of the tremendous love their father Jacob had for him. When the opportunity presented itself they sold Joseph to traveling Ishmaelites. Next we see him being sold again in Egypt to Potiphar, one of Pharaoh’s officials. Reading the complete story, you will note other events that happen to Joseph which to the natural man seem evil and cruel. We see God’s wisdom all through the story. Most important to note is that God’s wisdom was in each crisis that Joseph was brought into; the hand of God working in Joseph through each crisis. We can read the story of Joseph’s life in thirty minutes or less; therein lays the problem. If we read too quickly we overlook the fact that many years pass between the crucial turning points in his life; there was something God was working towards. Note the phrase in Genesis 39:2, “The Lord was with Joseph and he prospered.” God prospered Joseph as Potiphar’s right hand man but when he was put in prison God continued to prosper and give him favor. Prosper is a word the church has confused with wealth, some of the words in the dictionary to describe prosper are: to succeed, thrive, grow, etc. vigorously. God prospered Joseph with wisdom and favor. Colossians 3:1-4 says, “Since, then, you have been raised with Christ, set your hearts on things above, where Christ is seated at the right hand of God. Set your minds on things above, not on earthy things. For you died, and your life is now hidden with Christ in God. When Christ, who is your life appears, then you also will appear with Him in Glory.” I am sure the Holy Spirit will bring many more similar scriptures to your memory. Genesis 41:39-40 says, “Then Pharaoh said to Joseph, ‘Since God has made all this known to you, there is no one so discerning and wise as you. You shall be in charge of my palace, and all my people are to submit to your orders, only with respect to the throne will I be greater than you.’“ Unless we see God’s wisdom in every crisis, we will never see Christ, because CHRIST IS WISDOM. In Genesis 50:20 Joseph says to his brothers, “You intended to harm me, but God intended it for good to accomplish what is now being done, the saving of many lives.” With natural vision we would ask, where was God? After reading Joseph’s statement it becomes obvious God’s eternal wisdom was in total control. Here is a warning to the Body of Christ! We must be very careful how we view crisis when it happens to us personally, to a member of the Body of Christ, or anyone. Joseph’s brothers sold him to get gain for themselves, but God used it for His Glory in bringing Joseph, his family and their servants into the blessing of His Glory and Wisdom. How important to have a discerning heart so as not to be deceived and influenced by a wrong spirit. Look at the cross and see the wisdom of God in Christ. God did not first think about our redemption when Adam fell from his position in God’s grace. Redemption was included IN the wisdom of God. In the book of Acts 2:22-24 Peter says, “Men of Israel, listen to this: Jesus of Nazareth was a man accredited by God to you by miracles, wonders and signs, which God did among you through Him, as you yourselves know. This man was handed over to you by God’s set purpose and foreknowledge and you, with the help of wicked men, put Him to death by nailing Him to the cross.” Once again we see how God in His divine eternal wisdom was in control of His Son’s death; using His chosen Jewish family who had rejected Him to fulfill His purpose. I close with two scriptures; Isaiah 9:6 declares, “A child is born, a son is given.” Revelation 1:6, a King is made. Selah! Jesus states in John 15:26,27, “When the counselor comes, whom I will send to you from the Father- the Spirit of Truth who goes out from the Father- He will testify about me. And you also must testify, for you have been with me from the beginning.” John 16:5, “Now I am going to Him who sent me.” There was one more step Jesus had to take in order to finish the work of redemption and return to the Father; the CROSS. The cross was not avoidable, it was ordained. 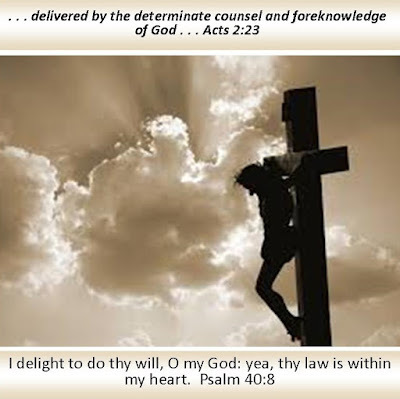 Acts 2:23,24 reads, “This man was handed over to you by God’s set purpose and foreknowledge; and you, with the help of wicked men, put him to death by nailing Him to the cross. 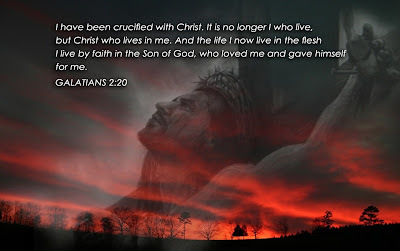 But God raised him from the dead, freeing him from the agony of death, because it was impossible for death to keep its hold on him.” As we continue with scripture we will understand the spiritual condition of the disciples before the cross and then by revealed knowledge appreciate the vital purpose of the Holy Spirit after the cross. Let’s read so that the Holy Spirit can illuminate our understanding and be transformed by the power of God’s word. John 16:12-15 “I have much more to say to you, more than you can bear. But when He the Spirit of Truth comes He will guide you into all truth. He will not speak on his own; He will speak only what He hears and He will tell you what is yet to come. He will bring glory to me by taking from what is mine and making it known to you. All that belongs to the Father is mine that is why I said the Spirit will take from what is mine and make it known to you.” Wow! What a statement of Truth. Our Lord is saying that we can know all that belongs to Him. Is it possible our Lord would tease us? Do you think Jesus would say this to tempt us? No, never! Our heavenly Father loves us. John 14:21 reads, “Whoever has my commands and obeys them He is the one who loves me. He who loves me will be loved by my Father and I too will love him and show myself to him.” I John 3:1 reads, “How great is the love the Father has lavished on us, that we should be called children of God!” That is who we are. The Lord has given us this inexhaustible revelation of ’Unity in the Spirit’ to deliver to the church. Once we, as Sons of God, know our place in the Kingdom of God, the Spirit of Truth will reveal to us how we will live in a world full of hate. To qualify this our Lord makes a request to the Father in John 17:24, “Father, I want those you have given me to be with me where I am and to see my glory the glory you have given me because you have loved me before the creation of the world.” The answer to that request is in Ephesians 2:6, “And God raised us up with Christ and seated us with Him in the Heavenly realms in Christ Jesus.” Not only does the Holy Spirit reveal to us our place, but our destiny as mentioned in Romans 8:17, “Now if we are children, then we are heirs – heirs of God and co-heirs with Christ, if indeed we share in His sufferings in order that we may also share in His glory.” The last part of this scripture gives us a little insight to the process we must all go through. John 14:27, “Peace, I leave with you; my peace I give you. I do not give to you as the world gives. Do not let your hearts be troubled and do not be afraid.” We are learning what we have received and who we are in Christ. Jesus demonstrated this peace as He walked through this world in total control of the spirit of death and darkness. This peace is the result of knowing that God is in control of everything in His creation. All who receive Him according to John 15:9-13 receive what comes with Him, “As the Father has loved me, so have I loved you. Now remain in my love. If you obey my commands you will remain in my love, just as I have obeyed my Fathers commands and remain in His love. I have told you this so that my joy may be in you and that your joy may be complete. My command is this: Love each other as I have loved you. Greater love has no one than this that he lay down his life for his friends.” Is it not amazing how our Lord is revealing all this just as He said the Spirit of Truth would do? Consider this, Jesus is talking to His disciples knowing He is about to lay down His life, resurrect and ascend to the Father. Contrast Jesus’ stance to his disciples. Peter denied our Lord three times after He was arrested according to John 18:17,25,27. Thomas says in John 20:25, “Unless I see the nail marks in his hands and put my finger where the nails were, and put my hand into his side, I will not believe it.” Another passage in Mark 16:1 reads, “When the Passover was over, Mary Magdalene, Mary the mother of James and Salome brought spices so that they might go to anoint Jesus’ body.” Now if they had believed what Jesus had told them that on the third day He would resurrect, I ask you what were they dong? Did these disciples of Jesus really believe? The point I want to make is that there are two types of knowledge; one is mere head knowledge which will not help us when the trials come and the other is revelation by the Holy Spirit. Selah!! Until you and I receive a clear understanding of the greatness of our Lord Jesus, we will never see what we have been chosen and called to. When God reveals His purpose to us, He does not give it all at once. It will come according to the grace and sovereignty of God. All through history we see this. In the book of I Samuel 13:14 (NIV), after Samuel rebukes Saul for not keeping the Lord’s commandments, Samuel says in V. 14, “But now your kingdom will not endure; the Lord has sought out a man after His own Heart and appointed him ruler of his people, because you have not kept the Lords command.” Read II Chronicles 16:9 (NIV) when again the King of Judah is rebuked for trusting in man and not in God. Hanani, the seer, says to him in V. 9, “For the eyes of the Lord range throughout the earth to strengthen those whose hearts are fully committed to Him...” Several words come to mind in these scriptures; devoted, faithful, committed and determined. This is what God sees in every chosen vessel. This is exactly what He received from His only begotten Son Jesus Christ and what He expects from us if He is going to use us to fulfill His purpose for His Son. Let’s return to John 15:16 (NIV) where Jesus says, “You did not choose me, but I chose you...” As we continue you will understand what I Samuel 13:14 and II Chronicles 16:9 have in common with John 15:16. When I read ‘I Chose You’ two questions arise; when did you choose me and why did you choose me Lord? I know that John 15:16 continues with “and appointed you so that you might go and bear fruit.” Some ministers use that portion as an evangelistic message. They are not wrong. However reading it in context, Jesus is talking about Himself being the true vine and we are the branches and God is the husbandman. I see a whole different picture. The Lord is saying, I chose you to be an extension of ME. It is important to note that Jesus and His chosen ones have just left the room where they took the bread and wine and Jesus spoke to them in seclusion in a more intimate way. This reveals that there are times when God will speak to us in a more intimate way in the privacy of our hearts. As He takes them out, and they walk along there are two things that He is doing. One, He is preparing His disciples for after His crucifixion, resurrection and ascension. Second, He is fulfilling prophecy. Isaiah 43:4-8 (NIV) reads, “Since you are precious and honored in my sight, and because I love you, I will give people in exchange for you, and nations in exchange for your life. Do not be afraid, for I am with you; I will bring your children from the east and gather you from the west. I will say to the north, ‘Give them up!’ and to the south, ‘Do not hold them back’. Bring my sons from afar and my daughters from the ends of the earth - everyone who is called by my name, whom I created for my glory, whom I formed and made. Lead out those who have eyes but are blind, who have ears but are deaf.” Habakkuk 2:14 (NIV) reads, “For the earth will be filled with the knowledge of the glory of the Lord, as the waters cover the sea.” By these two prophecies and many more, we can see that being chosen by God involves more than attending church. I remember the dream I had over thirty years ago where I saw the glory of the Lord and these words came forth from that glory, “If you seek me, you will find me, and you will grow in me.” These words are still working in me; they led me to the point where I not only receive but also understand what God’s Ultimate Intention is producing in us. God spoke those words to me in that dream shortly after I had given my life to Him. Taken by those words and giving myself to study His word, I came to the Book of Jeremiah 29:13-14 (NIV), “You will seek me and find me when you seek me with all your heart. I will be found by you, “declares the Lord...” Our God will never lead us astray and the Holy Spirit will not work in us outside of God’s Word. God is always testing our hearts because He chose us to be His companions. This is where we enter into the why He chose us. The word companion is full of meaning; getting the right meaning will result in absolute satisfaction both to you and to God who chose you. To begin our understanding of this word companion let us look at Hebrews 3:1 (KJV), “Wherefore, holy brethren, partakers of the heavenly calling...” Hebrews 3:14 (KJV) reads, “For we are made partakers of Christ, if we hold the beginning of our confidence steadfast unto the end.” The word partakers can also mean companions. Luke 5:7 (KJV) "So they signaled their partners in the other boat to come and help them..."The word used in Luke is partner which has the same meaning as companion. Companion can mean two persons or more who have taken up a cause, chosen for a specific purpose. This is something we see throughout scripture. Abraham, a great servant of God, was devoted and faithful; however the special name given to him was ‘friend of God.’ Isaiah 41:8 (KJV) reads, “But thou, Israel, art my servant, Jacob whom I have chosen, the seed of Abraham my friend.” God’s description of Moses in Exodus 33:11 (KJV) “And the Lord spake unto Moses face to face, as a man speaketh unto his friend...” Samuel describes David as “a man after His own heart.” John 15:14-15 (KJV) reads, “Ye are my friends, if ye do whatsoever I command you. Henceforth I call you not servants; for the servant knoweth not what His lord doeth: but I have called you friends; for ALL THINGS that I have heard of my Father I have made known unto you.” It becomes clear in these scriptures that there is a unique intimate relationship between the one who chose and the one chosen. When our Lord came into this world, He chose His disciples and apostles on the basis of companionship. There was something dear in their relationship with the Lord; it was their companionship with Him. Luke 22:28 (KJV) reads, “Ye are they which have continued with me in my temptations.” It is important to note that these words make it obvious that a companion continues with you through life’s sufferings. John 15:14 (KJV) reads, “Ye are my friends...” It is very important that we take note of that. God revealed to me several years ago that I was united to Him by the Spirit; that I was one with Christ in the Spirit. I Corinthians 6:17 (KJV) reads, “But he that is joined unto the Lord is one Spirit.” Galatians 4:6(KJV) reads, “And because ye are sons, God hath sent forth the Spirit of His Son into your hearts crying, Abba, Father.” This is what John 15 is all about. This is what the gospel is all about. This is what the cross of Christ is all about. This is what His death, burial, resurrection and ascension is all about. He chose us to be His companions for all eternity. I must stop here and ask the Holy Spirit to remove anything and everything that obstructs our spiritual vision and impedes our spiritual progress into the fullness of Christ. There is no other conclusion but that truly this is no small thing He has called us to. There is no doubt this is a great companionship which was planned before this world was ever created. Let us look at a few examples in the Old Testament to see important characteristics of companions. We will look at Gideon first, but to appreciate this chosen vessel, we need to look at the state of God’s people. Judges 6:1 (NIV) records, “The Israelites did evil in the eyes of the Lord, and for seven years He gave them into the hands of the Midianites.” (V6) “Midian so impoverished the Israelites that they cried out to the Lord for help.” The first thing to notice is that before God sends deliverance, He exposes their sin. God is always dealing with our hearts. 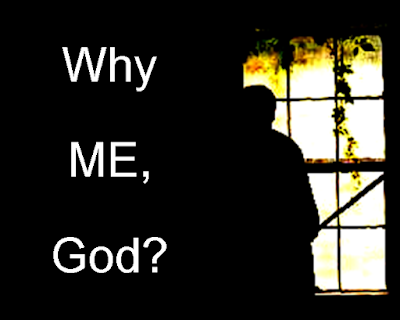 God sends a prophet to make clear why they were in misery; why did God do this? They had rebelled against the rule of God. He is teaching them in the land of blessing and privilege the difference between the rule of God and the rule of man. We must take this to heart, especially here in America, here where we have had the privilege and freedom of gathering together to worship our God and Lord Jesus Christ. Remember that since the beginning of time God set in motion two paths; one of blessing and privilege through obedience and the other of curse and death through disobedience. I heard someone say ‘God is not through with the United States.’ To this I say it depends on the spiritual state of the church. Israel was called to be a blessing to the nations, so is the church. We may have forgotten, but God is not dealing with the Midianites yet; He is using them to judge His own people. Selah (Stop and think about it) In the midst of Israel’s misery, we find God’s man of deliverance, Gideon; God’s companion and witness. God is bringing him into circumstances in which he is to act. This should immediately remind us of Philippians 2:5-9 (NIV), “Your attitude should be the same as that of Christ Jesus, who being the very nature of God did not consider equality with God something to be used to his advantage; rather, He made himself nothing by taking the very nature of a servant being made in human likeness and being found in appearance as a man, He humbled himself by becoming obedient to death – even death on a cross! Therefore God exalted him to the highest place and gave him the name that is above every name.” Gideon is in the midst of Israel’s misery but notice what he is doing; he is threshing wheat and hiding it from the Midianites. The angel of the Lord is watching him; what is he observing? The angel is watching the attitude of Gideon’s heart. He is not angry nor is he murmuring. He took upon himself to alleviate some of the distress of the Israelites. He was concerned for others; the care of his people was on his heart. When you come to see why God chose you, the Holy Spirit makes the Ultimate Intention of God clearer. Even the small things that we do which are governed by God’s purpose are noticed by God. Man may consider the deed insignificant, but God notices. Let us return to Judges 6:12 (NIV) when the Angel of the Lord says, “The Lord is with you." The angel saw deliverance in the heart of Gideon. God’s love, interest and desire were at work in Gideon whether he knew it or not. We should never make the mistake of coming into adversity and accuse God of abandoning us. Two reasons for experiencing adversity: One is ignoring the conviction of the Holy Spirit and God’s Word. Two God is putting our trust in Him to the test. Peter 1:6-7 (NIV) reads, “In this you greatly rejoice, though now for a little while you may have had to suffer grief in all kinds of trials. These have come so that the proven genuineness of your faith, - of greater worth than gold, which perishes even though refined by fire - may result in praise, glory and honor when Jesus Christ is revealed.” Our Lord wants everyone whom He chooses to know that God opens doors, He closes doors, He sets up and pulls down. Whatever He must do to make us compatible He will do. Ecclesiastes 7:13-14 (NIV) reads, “Consider what God has done: Who can straighten what He has made crooked? When times are good, be happy; but when times are bad, consider this: God has made the one as well as the other. Therefore, no one can discover anything about their future.” It is so very important to know, understand and accept all that is in the process in making us compatible for our Lord. The following word spoken by Jesus to His disciples greatly anchored my soul, mind and emotions when I was experiencing a trying circumstance. Luke 6:40 (NIV) reads, “A student is not above his teacher, but everyone who is fully trained will be like their teacher.” When God spoke that in my spirit, the raging storm within me stopped and the peace of God took over. We all should have a history of our walk with our Lord. The moment you receive Jesus Christ as your Savior and accept Him to be Lord of your life, you enter into the school of Christ. Hebrews 5:8-9 (NIV) reads, “Son though He was, He learned obedience from what He suffered and, once made perfect, He became the source of eternal salvation for all who obey Him.” Hebrews 12:3 (NIV) reads, “Consider Him who endured such opposition from sinners, so that you will not grow weary and lose heart.” May the precious Holy Spirit encourage, strengthen and establish you in His fullness and for the glory of Jesus Christ. We will continue this unfolding revelation in our next letter. Amen!